Before installing VirtualBox Guest Additions on Ubuntu 18.04 we need to install some required packages. So open the terminal and run the following command. Step 2. 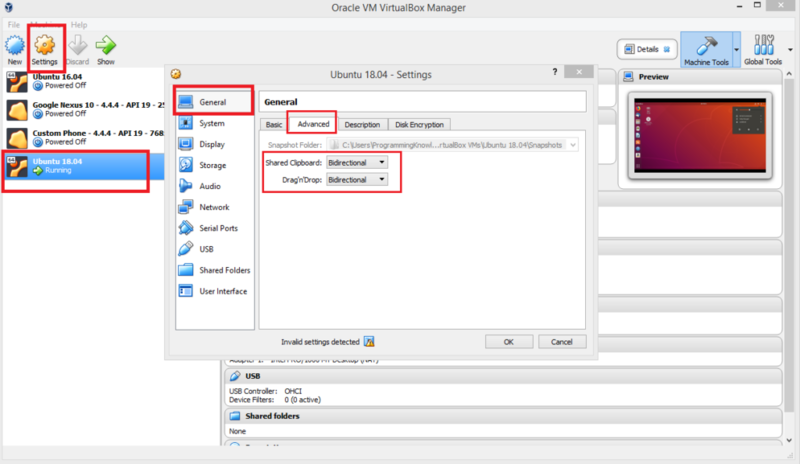 Install Guest Additions using virtual box. 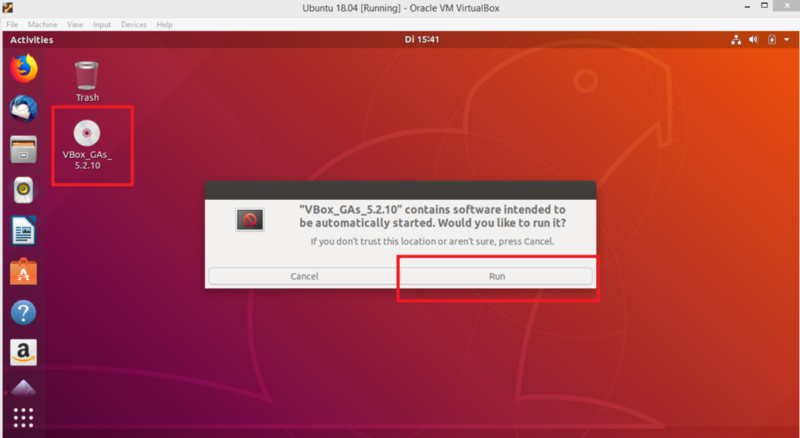 After pressing Run button it will install VirtualBox Guest Additions on Ubuntu 18.04. Press enter to close the window. Step 4. Shut down your Ubuntu 18.04 Guest. Step 5 . To enable copy and paste between the guest and the host machine, go to the VirtualBox Ubuntu guest machines settings. Select General –> Advanced and enable the two option shown below. Step 6. Start Ubuntu 18.04 virtual machine and check if copy and paste works. Any idea about this? I googled and there are some alternatives, but as the problem appears after running that command, maybe there is something more specific for this particular issue. Thanks in advance!